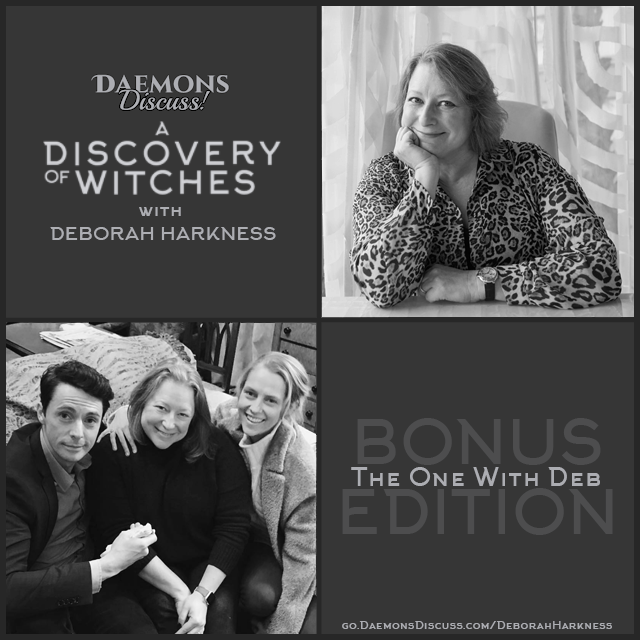 Description: All Souls Con 2019 is coming sooner than we think! 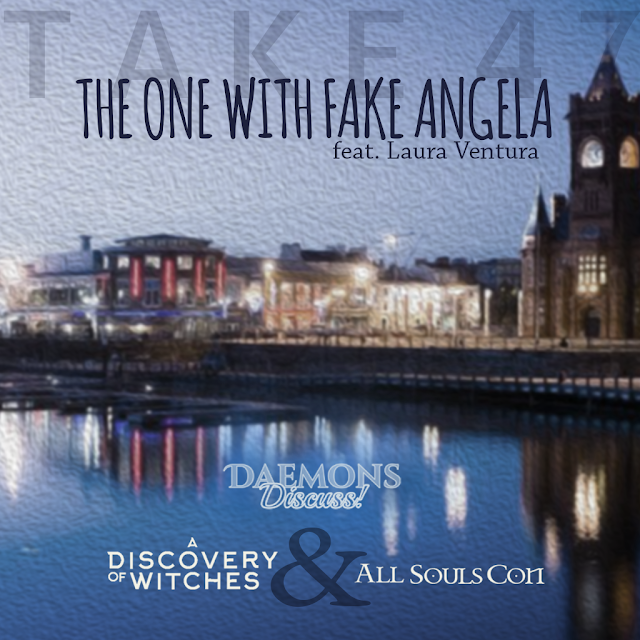 As is our tradition (since the beginning of this podcast), we invited Laura Ventura (co-director of All Souls Con) on to talk about it. As fate would have it, Angela was unable to record that day, so Laura graciously agreed to join us as our third. This episode can only be described as fans being fanatics! 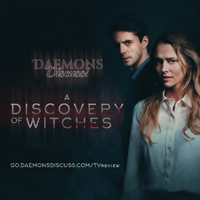 We cover the Cardiff premiere of A Discovery of Witches, and what Laura can reveal about All Souls Con. We indulge ourselves a little in this period of relative calm, while we anticipate the incoming fandom storm. Chapter episodes will resume next year after our TV coverage! This is the penultimate episode of 2018. LAURA MET THE DISCUSSER IN CHIEF! Yay! Stephen! The Alumni discussion: Laura feels that this is a small gesture to thank alumni for their ongoing support of All Souls Con. DON'T PANIC! If you plan to go, buy/book EARLY. Keep an eye out on All Souls Con's social media to see when tickets go on sale. 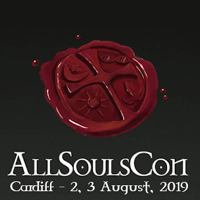 All Souls Con is working with Visit Cardiff - there will be a discount for Great Western Railways + Hotel discounts. Two confirmed speakers so far: Shelli Carter & Stephanie McGucken. Audio postcards from the premiere: thank you Greg McHugh (Hamish Osbourne), Discusser Belia, Claire Baldwin, Caitlyn from Headline, Candy, Discusser In Chief, Stephen + wife, Yvonne. Big hugs and thanks to Laura and Karen for putting that together for us! Housekeeping: Thanks goes to WontGiveMeANickname & Krystal for your review & email! Save It For The Show - Topic: The Calm before the Storm. Get ready! Sign up for Sundance Now and Shudder! Promo Codes listed below! 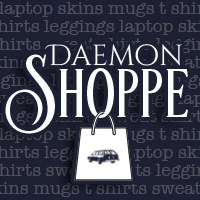 Giveaways, auctions, countdowns, oh my! 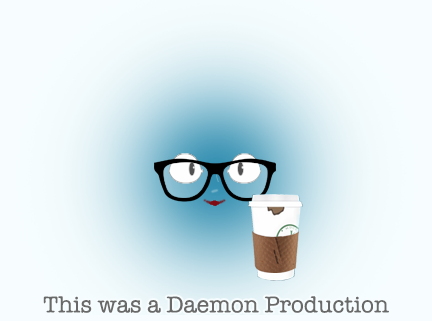 Last thoughts: Laura talks about how podcasts have been saving her sanity in between Cons. 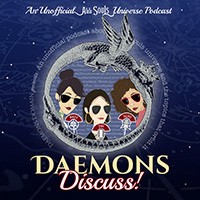 Jean reminds us that 2019 is going to be a year of daemonosity, because it's the only way we'll survive. Valerie reminds US and Canadian listeners sign up for their streaming service of choice (Shudder or Sundance Now). Thank you to our Patron sponsors: Linda Zipp (main discussion), Lyn Serano (housekeeping), and Shanon Rodriguez (Save It For The Show)! According to Laura, Alex's eyes can look into your soul! Up close, we see what she's talking about! 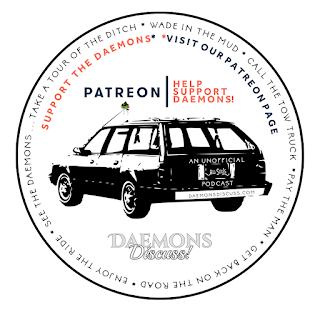 Our Friend of the Pod t-shirt - it's available for purchase! 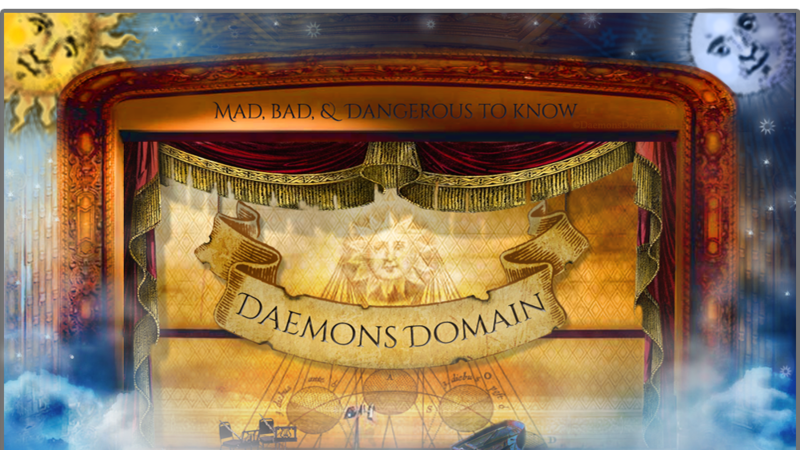 🌞🌛🌟 To join our private, listener-only Facebook group, go here → Join Daemonic Discussers The "word" is "F*cking Firedrake"